Jang Ki Yong to play role of a serial killer for upcoming OCN drama 'Blue Eye'? Actor Jang Ki Yong has shown interest in a thriller drama as a skilled killer. 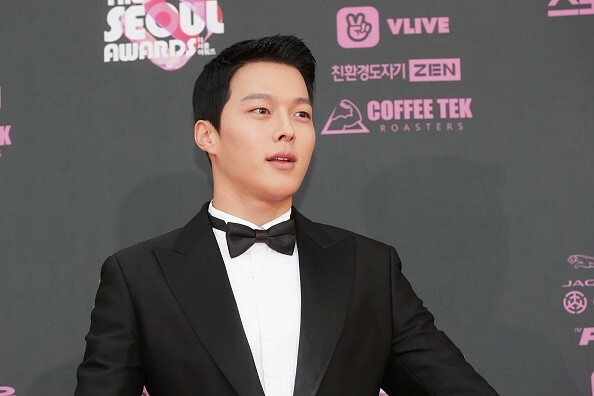 South Korean actor Jang Ki Yong has reportedly been discussing scripts for OCN's upcoming thriller drama essaying the role of a serial killer. According to reports from OCN, "Jang Ki Yong has been cast in the OCN drama "Blue Eye" (working title) which will be airing next February". Further to the release of the news from OCN, a source from the actor's agency YG Entertainment stated. "Jang Ki Yong has received the offer for "Blue Eye" and is positively reviewing it". The upcoming drama is said to revolve around a man who is cast away by the devil, a woman who is raised by the devil, as well as a client who is behind him to get revenge. According to sources, the man being cast away by the devil becomes a killer in a desperate means to find his family. The woman portrayed as being raised by the devil is the detective who pursues the killer to seek revenge for her deceased lover. If everything goes as planned, Jang K Yong is expected to play the role of the skilled killer Kim Shi Hoon. The character of the serial killer has the capability to turn anything into a weapon and wields a gun like an extension of his own arm. He is said to aim and hit targets meters away and has the ability to quickly perceive any situation and eliminates his targets skilfully. He brings a mystery to other gangs and organizations, various countries seek his assistance when they need to terminate opponents without getting into trouble. The upcoming thriller drama will be directed b Nam Sung Woo who is famed for his "100 Days My Prince" and written by Son Hyun Soo and Choi Myung Jin.